The approach to effective multicultural teaching promoted during the training is based on the influential educational theorist David A. Kolb’s research. The first two seminars will provide the theoretical knowledge about the social identity of students and its effects to the classroom environment. The new information will help to raise awareness of the similarities and variations existing between cultures. This reflection on cultural differences is to be transferred to the students once back at school in order to help them fight against cultural stereotypes and avoid forming hasty judgments. Furthermore, the training will go beyond theory by providing the teachers with easily applicable classroom methodology and creative assessment strategies on the topic. Teachers of primary and secondary educational institutions as well as of vocational training institutions. The training tackles exclusion and bullying emerging in the classroom due to cultural differences. The training will provide teachers with effective tools for a successful intercultural teaching and learning in a collaborative and non-competitive environment. Through theoretical and practical activities, our methodology has been developed in order to bring teachers to reflect upon multicultural issues and provide them with innovative strategies for practical resolutions of conflicts, ultimately aiming at helping students to engage in the classroom and beyond. Professional seminars that will be conducted by recognized experts in the field. The training will focus on similarities and clashes of different cultures, analysis of cultural stereotypes and teaching methods that should be applied in the multicultural environment. Informal discussions among the participants and recognized experts in the field, sharing of personal experience during informal coffee breaks, lunches, dinners, an opportunity to observe the work of professionals in the informal environment. Training Outcomes After the training, attendees are expected to better understand the specifics and challenges of working in the multicultural classroom environment and and become able to provide more professional and valuable assistance to pupils. Also, to become able to use critical thinking and skills gained during the training in order to solve difficulties and problems faced at work everyday. An important part of the training course in is the knowledge shared by local highly experienced experts successfully working in the field. 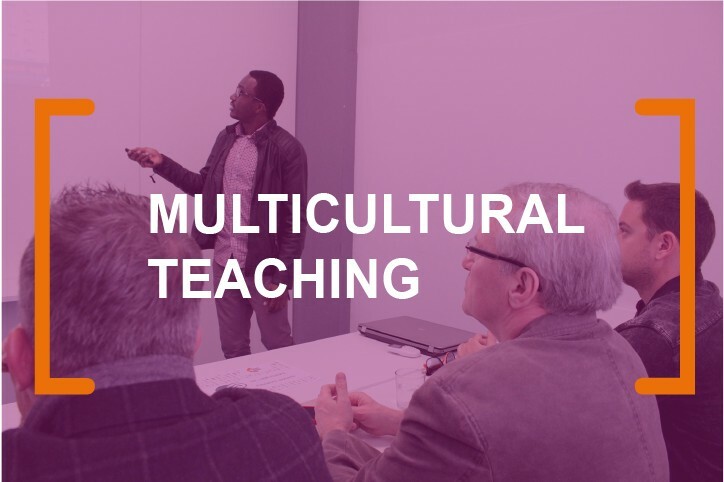 Future and present multicultural teaching specialists will be able to apply the valuable tips received during the training on daily basis. This training will also expand participants’ career opportunities, as they will bring home experience and knowledge from abroad that will make them more prospective employees not only at their home country but also in the international labour market.